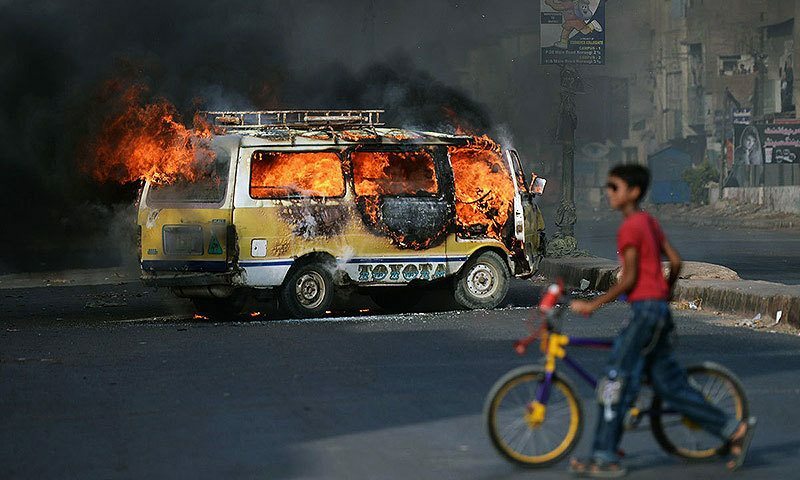 One must feel sorry for the voters of Karachi who have suffered in the past few years due to the political turmoil. The drama in Karachi does not seem to have any ending in sight. After Karachiites finally managed to get rid of Altaf Hussain and his prolonged speeches last year, the city is getting embroiled in the spat between Pak Sarzameen Party and Muttahida Qaumi Movement – Pakistan. The marriage between the two parties lasted only a day after which it ended with a divorce. Both parties, after having vowed to move forward and contest elections under one umbrella, seem to have parted ways with each other. Mustafa Kamal, who emerged strongly last year after a long period of absence, exposed and blew Altaf away with his fiery speeches. He is often accused by rival political parties as a stooge of establishment. However, he used the same narrative against MQM, alleging that the meeting between the two parties was brokered by the establishment on Farooq Sattar’s request. Whatever Farooq Sattar did was nothing new. He simply replicated what MQM had been doing in Altaf’s era. He backed off from his original stance of negotiating with PSP leader Mustafa Kamal. By doing so he tried to reinstate the legacy of his ex-leader Altaf Hussain, who was a master at creating hype and drama. He resigned myriad times and then after a brief moment took back resignation claiming that he did so on the request of his beloved supporters. No doubt things have improved in Karachi after August 22. Altaf Hussain’s speeches got banned by Lahore High Court, and his party distanced itself from him. Moreover, Karachi’s law and order situation improved. It will be fair to say that he has almost lost his stronghold in Karachi. But, the problems are far from over. There are tough days ahead for the people of Karachi as they will have to decide which party they should vote for in the general elections.MQM is already divided into 2 factions with one based in Karachi and the other, a pro-Altaf faction, based in London. Many voters in the city can go into a certain dilemma. Plus, there is Mustafa Kamal who has delivered in the past for the city as Mayor of Karachi. PTI will also field its candidates but it is not expected to bag a large number of seats. The stake holders in Karachi including the political parties and establishment should make sure that the security situation remains under control. Political parties should squander the past ways of resorting to militancy. Having militant wings and using it against rival political parties will only deteriorate the overall security situation of Karachi, as it should be kept in mind that most of Pakistan’s economy and trade activities are associated with the city. The establishment should also strive to play a neutral part in Karachi’s politics since we are less than a year away from 2018 elections. The delicacy of the situation demands that it should not provide patronage to any political party in the city. Public should be given mandate to select and remove parties from the corridors of power through their votes.